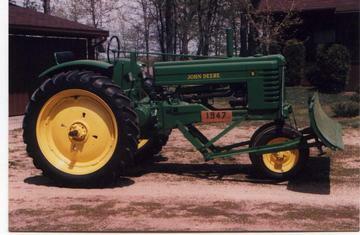 This tractor was restored about 4 years ago. The plow was a John Deere accessory. It works with cable from the hydraulic arms. You angled the plow by hand.